Richard Bechtel, 69, of Malvern, Ohio, passed away Friday, August 17, 2018 at the Cleveland Clinic in Cleveland. Born in Dover, Ohio on June 4, 1949, he was the son of the late Clifford and Helen Cain Bechtel. He retired from the Fort McDowell Trucking Company in McDowell, Arizona, where he was employed as a truck driver. 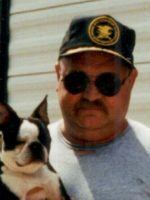 Richard was an honorably discharged veteran from the United States Army after having served two tours of duty in Viet Nam and also loved riding his motorcycles. Surviving is his wife, Janice M. Bechtel of the residence; two sons, Justin Bechtel of Jacksonville, North Carolina and Ricky (Celeste) Bechtel of New Philadelphia; two daughters, Corissa (Ben) Thompson of Jacksonville, North Carolina and LaVonda McGee of Rome, Georgia; three brothers, Max Bechtel, Joe (Marilyn) Bechtel and Jerry Bechtel all of New Philadelphia; four sisters, Emily McGuire of Spencer, Tennesee, Ellen (Joe) Gowins of New Philadelphia, Mariam Schillinger of Somerset, Pennsylvania and Helen Berkowicz of Uhrichsville; and nineteen grandchildren. Three brothers also preceded him in death. Funeral Services will be held Thursday, August 23, 2018 at 1:30 PM in the Linn-Hert-Geib Funeral Home & Crematory at New Philadelphia with Pastor Brian Flood officiating. The New Philadelphia VFW Post 1445 conduct military honors immediately following the service. Visitation will be held Wednesday, August 22, 2018 from 4 to 8 PM in the funeral home. In keeping with his wishes, following the services, his body is to be cremated through the care of Geib’s Tuscarawas Valley Crematory.